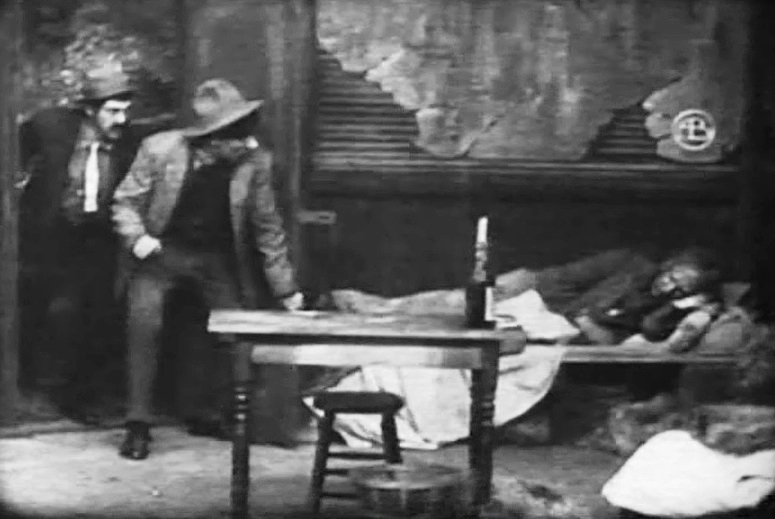 "Money Mad" is a short crime drama directed by D.W. Griffith. The film is included in our program to illustrate the work of two of our stars: actress Florence Lawrence and cinematographer Billy Bitzer. Arthur Johnson has a small part as a bank teller. An old man obsessed with money steals a woman's wallet while posing as a beggar. He then decides to visit the bank and exchange the bills for coins. On his way back home he is followed by two thugs, who break into his apartment and steal the money. These two are unhappy with their respective share, can't escape the madness and kill each other. The old landlady (Florence Lawrence) gets possession of the money, but will she be able to hold on to it, or will she in turn succumb to its destructive power? 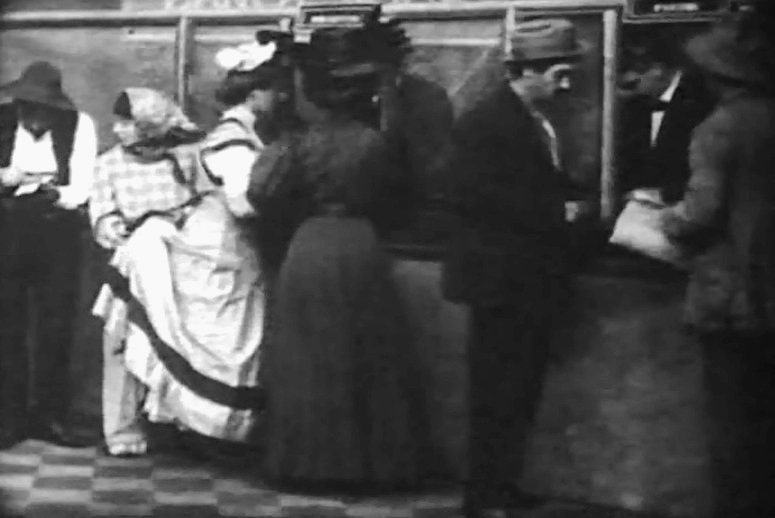 Arthur Johnson is the bank teller helping the two ladies in "Money Mad" (1908), directed by D. W. Griffith, cinematographer Billy Bitzer. 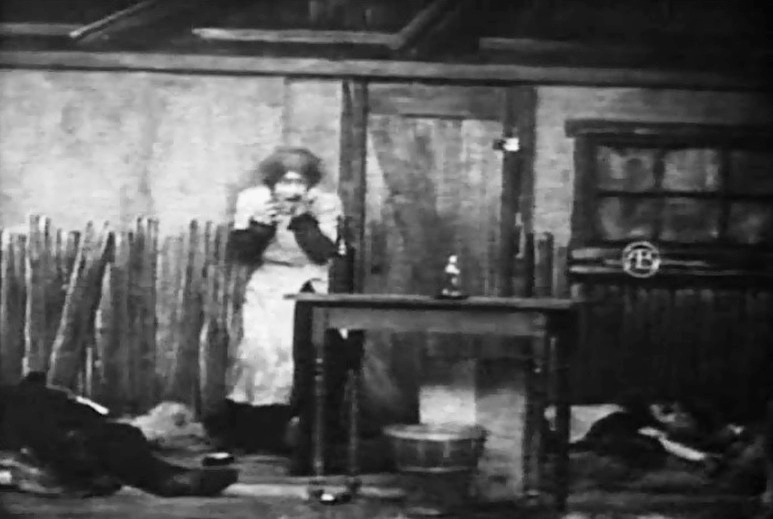 Florence Lawrence is the village girl that checks out the lady's dress in "Money Mad" (1908), directed by D. W. Griffith, cinematographer Billy Bitzer. 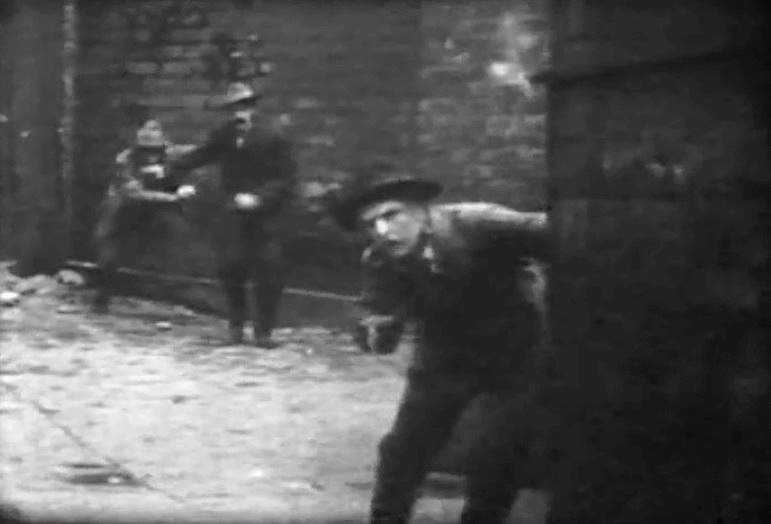 Charles Inslee is followed by two thugs in "Money Mad" (1908), directed by D. W. Griffith, cinematographer Billy Bitzer. 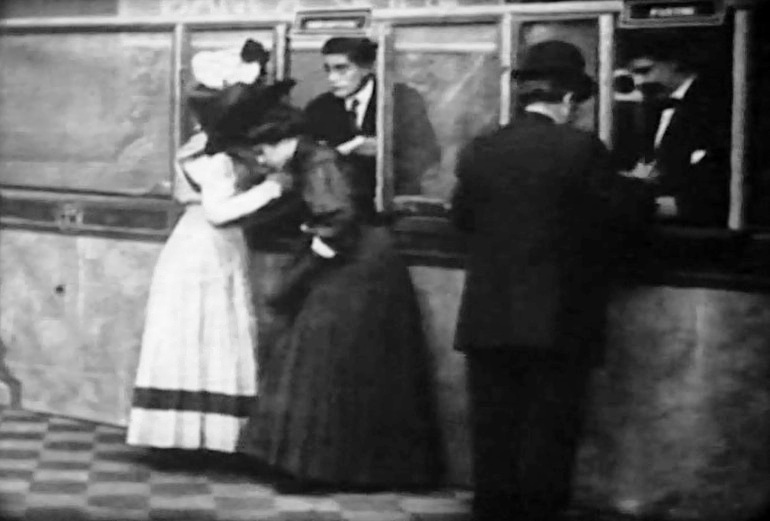 Charles Inslee rejoices at the sight of coins in "Money Mad" (1908), directed by D. W. Griffith, cinematographer Billy Bitzer. 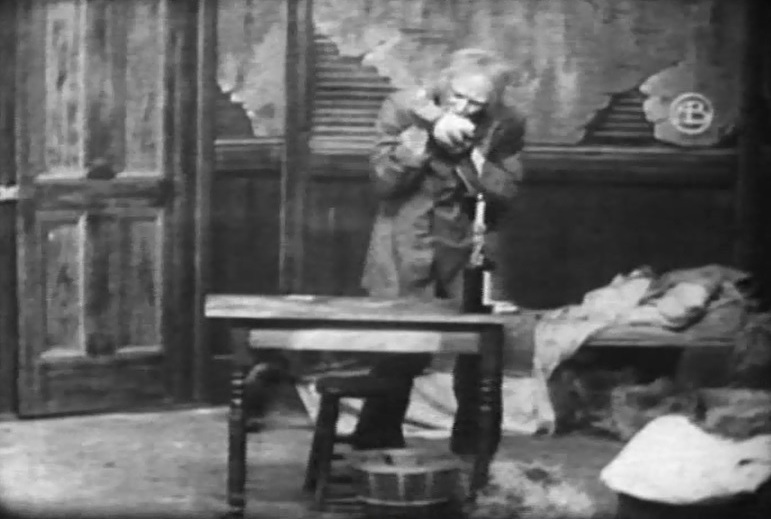 Charles Inslee kisses the bag of coins in "Money Mad" (1908), directed by D. W. Griffith, cinematographer Billy Bitzer. 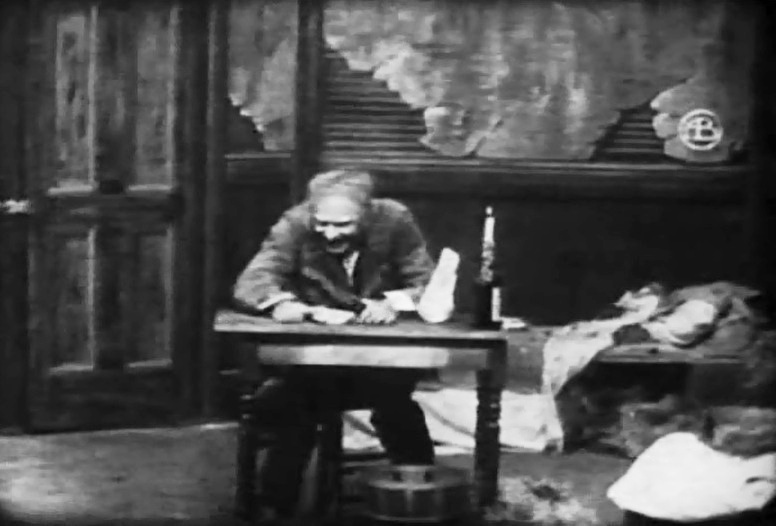 Harry Solter and George Gebhardt break into Charles Inslee's home in "Money Mad" (1908), directed by D. W. Griffith, cinematographer Billy Bitzer. 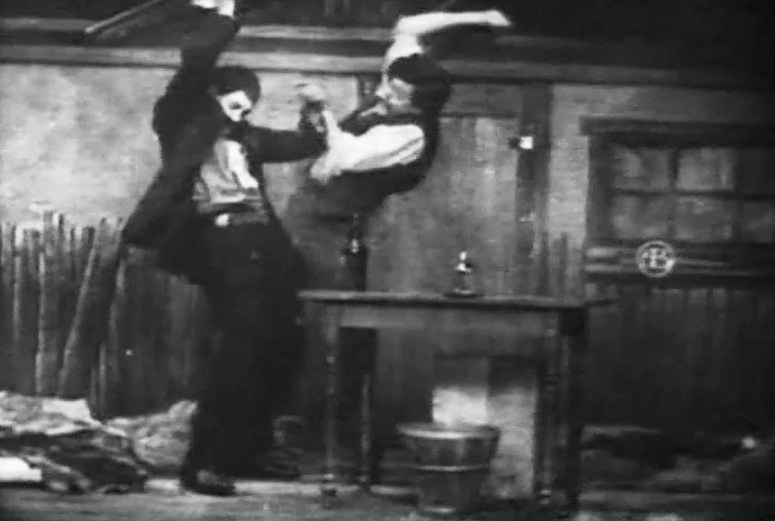 Harry Solter and George Gebhardt try to kill each other for money in "Money Mad" (1908), directed by D. W. Griffith, cinematographer Billy Bitzer. Florence Lawrence in another role as the old landlady in "Money Mad" (1908), directed by D. W. Griffith, cinematographer Billy Bitzer. 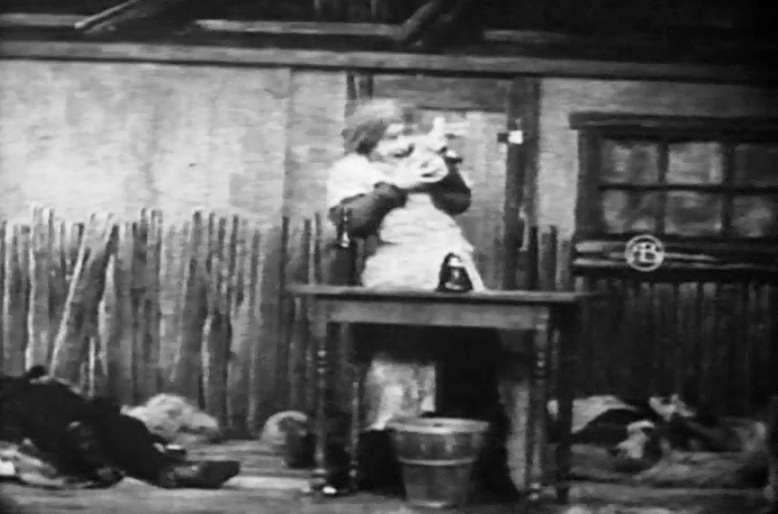 Florence Lawrence rejoices and kisses the bag of coins, but her bliss will end very soon in "Money Mad" (1908), directed by D. W. Griffith, cinematographer Billy Bitzer.